The Adelaide Fringe has today unveiled its 2019 program, and it’s shaping up to be a big one. From February 17 to March 19, our city will play host to 1326 events (89 more than last year) and over 7000 artists. 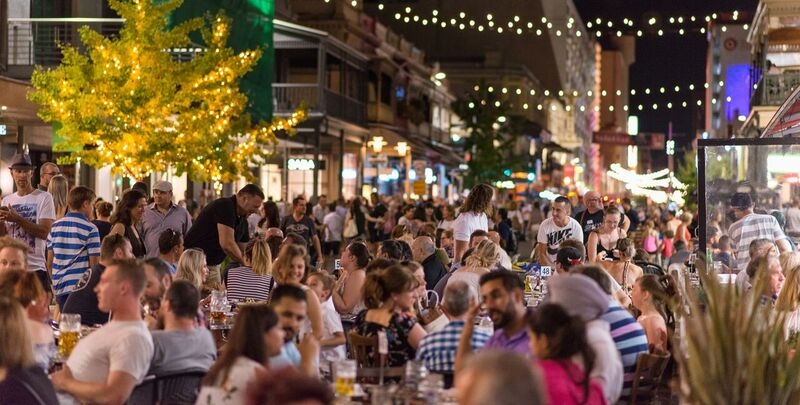 The usual Fringe hubs, Gluttony and The Garden of Unearthly Delights, will return to their homes in the city’s eastern parklands, while the Royal Croquet Club (RCC Fringe) will be relocating to the University of Adelaide. Over 450 acts are set to make their Fringe debut. Among these acts will be Yabarra: Gathering of Light, an Aboriginal storytelling event that aims to highlight the stories of our local Kaurna culture through interactive installations. This is set to run every night of the Fringe on the Torrens riverbank. Each year of the Fringe sees a rise in interest from international performers which has proved to reflect a growth in the program’s artistic and cultural diversity. Adelaide Fringe Director and CEO Heather Croall has said that the genres of circus, interactive and theatre will feature more prominently in 2019 than in previous years. To take a look at the program in more depth, a digital Fringe Guide can be downloaded from Adelaide Fringe website HERE. Tickets are also now available for purchase at adelaidefringe.com.au, FringeTIX box offices and outlets or by phoning 1300 621 255. Header image by Helen Page.